REMODELED!BRAND NEW AIR CONDITIONING & HEATING!This 2 bedroom, 1.5 bath home with a 2nd floor bonus room for either a den, study or office has been tastefully remodeled. Large, remodeled, eat-in kitchen. with new countertop, glass backsplash, dishwasher and original softwood floors. Added 1/2 bath on the first floor with pedestal sink, toilet. Open living room and dining room combination, with new flooring and paint. Spacious bedrooms with new carpeting and paint. New, full bath with vanity, toilet and flooring. Large. fenced backyard for all your entertaining needs. 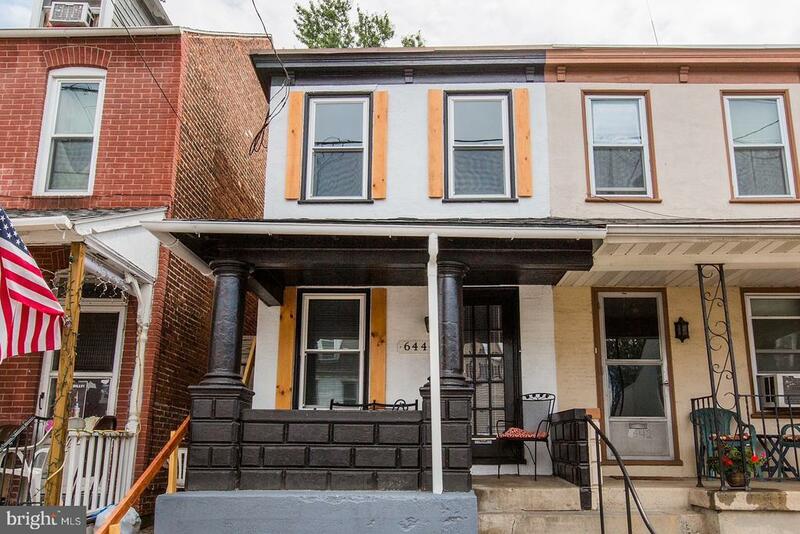 New: Heat Pump with central air, 200 amp electrical, hot water tank, front porch roof, flooring and paint throughout.Possible off street parking for 2 vehicles at the neighbors to the left of the home for $20/month. Ask for details.Nothing to do but move in! High School: McCaskey East H.s.